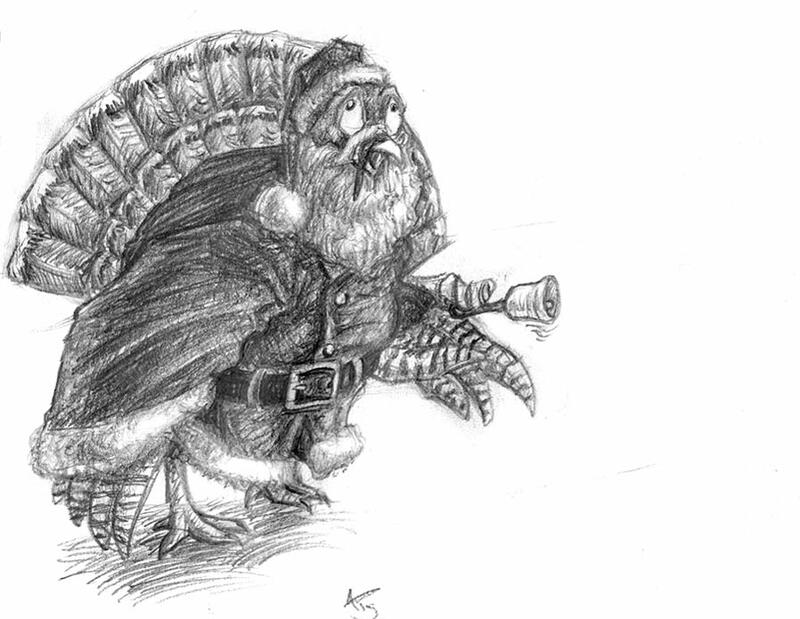 Is that a Turkey Wearing a Santa Suit? I thought I'd have a little fun with this post and toss a seasonal sketch up. Anyone wondering what happened to the many Turkeys who escaped the Thanksgiving meal may have their answer here. Just make sure to look at those Santas at the malls closely. You never know who may be hiding behind that beard and suit!